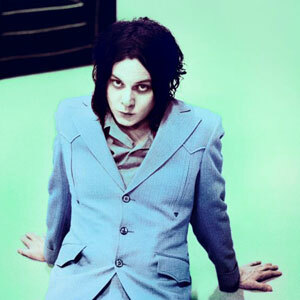 Jack White Biography, Discography, Music News on 100 XR - The Net's #1 Rock Station!!! 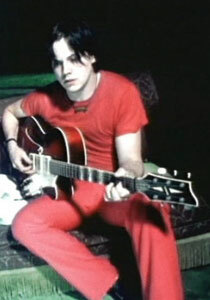 Jack White was born John Anthony Gillis on July 9, 1975 in Detroit, Michigan USA. The youngest of ten children born into a large, working-class Catholic family; at the age of five he learned to play drums and later the guitar as well as bass and several other instruments. Jack White formed The White Stripes with Meg White in 1997; the duo scored an impressive series of platinum albums as well as 9 Modern Rock top 20 singles. In 2003, he collaborated with Electric Six and that fall was arrested following a fight with the lead singer of The Von Bondies, Jason Stollsteimer. Two years later White formed The Raconteurs, along with Brendan Benson, Jack Lawrence and Patrick Keeler. In 2009 he launched another Alternative-Rock band: The Dead Weather. In June 2005, Jack White married the British model-turned-singer Karen Elson. They had a daughter in 2006, named Scarlett Teresa White and a son, Henry Lee White was born in 2007. In June 2011 White and Elson issued a press release saying that they are getting divorced. In April 2012 Jack White released "Blunderbuss", his debut album as a solo artist, on Third Man Records/Columbia. The disc rocketed straight to #1 on the The Billboard 200 producing two Hot Modern Rock top 20 hits, "Love Interruption" and "Sixteen Saltines", plus a minor hit with "Freedom At 21". "Blunderbuss" also hit #1 in U.K. and on the Top Canadian Albums charts. "Lazaretto", Jack White's second solo album and follow-up to the 2012's gold-certified effort, is set to be released on June 9, 2014, via Third Man Records/XL Recordings. White has selected the title-track as the first single.